In this book, Carver shows us how to pursue practical minimalism so we can create more with less - more space, more time, and even more love. 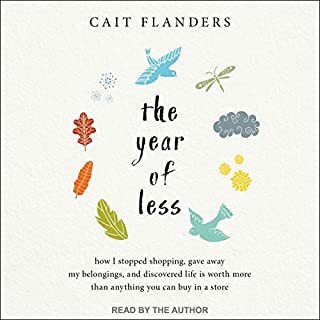 She invites us to look at the big picture, discover what's most important to us, and reclaim lightness and ease by getting rid of all the excess things. ©2017 Courtney Carver (P)2017 Blackstone Audio, Inc.
Found this to be hard to listen to (and heard several missed edits in the recording?) and not exactly like its description. I thought this would be more about her journey and instead it had more practical advice. I almost didn’t listen to this book because of the author’s narration. I’m so glad I got past it and listened to it anyways. She is monotone, but you can tell she is trying. I would be nice if someone else narrated it for her. The book was so powerful and I loved the tips. 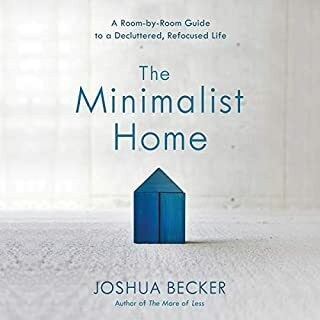 I don’t need to listen to book full of reasons “why it’s good to be a minimalist.” I didn’t feel like that with this book. Her story was powerful and inspirational. Other books I had to keep fast forwarding the blah—this book was the opposite. She captivated me and I will listen again. I highly recommend this book!! 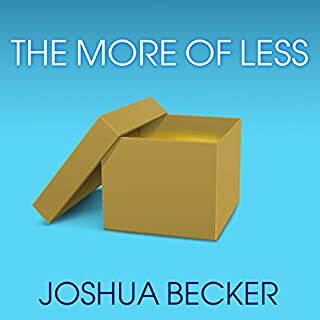 I know the author's work from the Internet and I had hoped the book would outline the principles of living minimalistically. However, it is her autobiography, detailing the life challenges and illness that led her to become a minimalist. The author reads her own work, and she's not great. Too bad, because I've learned a lot from her online blog about minimalism. I guess I bought the wrong book. What a beautiful, beautiful book. And so loved the opportunity to listen to it read by Courtney. She has a lovely, soothing voice, perfect for narration. I have read a good deal on the topic of minimalism and simplicity—from all the big names in the movement. 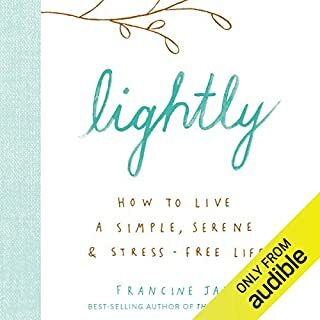 Unequivocally, *Soulful Simplicity* is **THE BEST** book on the matter I've encountered, bar none. Other articles and books have offered practical wisdom and insights, but Courtney's book, beyond that, has touched my heart and inspired me to finish the race. 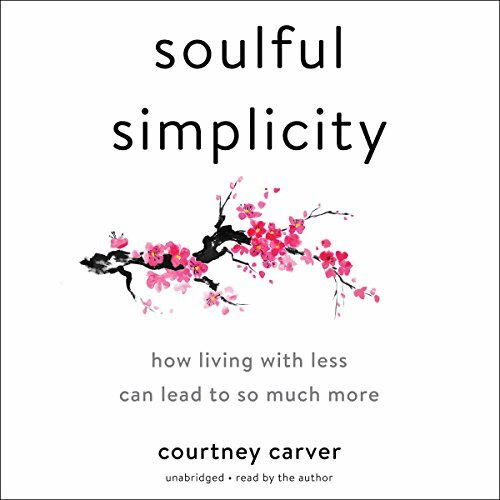 Perhaps it’s Courtney’s unabashed authenticity in sharing her own story or her multiple lists of sage suggestions that distill the essence of the simple life or the exquisite way in which she sees the sacred in each and every moment we so often take for granted. Maybe it’s all of these things. Whatever it is, this book is a treasure trove of wisdom you’ll want to return to time and again. I'm grateful beyond words for such thoughtful and soulful work. It speaks volumes to the ever-present angst we struggle with in our culture of consumption and excess. Enjoyed this book very much! 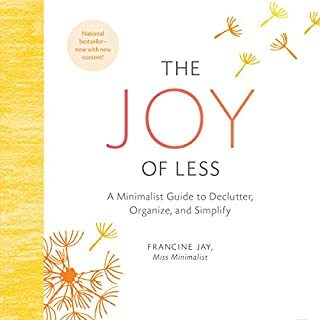 I have read many books about Minimalism. This book went much deeper. 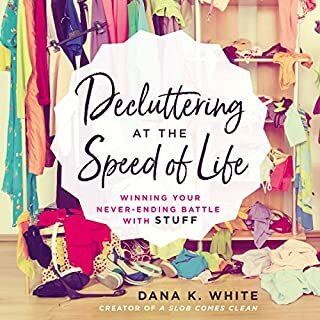 It’s about not only how to declutter your house and things. It’s about how to declutter your mind, your heart, and your soul. Excellent book!